The question we attempt to answer in this article is this: How do Christian healers in sub-Saharan Africa perceive biomedicine? To address this, we draw on field research carried out in Abidjan, the major city of Côte d’Ivoire.4 In terms of methodology, the approach is qualitative. The data was collected through interviews that were administered to 72 Christian practitioners involved in therapeutic activities. The interviewees belong to classical mission churches, African independent churches, and Pentecostal churches.5 The results suggest that the approach is predominantly inclusive, despite claims of the superiority of divine healing. The anthropological literature refers to some rare instances of collaboration between Christian therapy and psychotherapy in some African countries. In Côte d’Ivoire, for example, the prophet-healer Albert Atcho (1903–1990) is cited. His reputation was such that he received recognition from the psychiatric hospital of Bingerville, which collaborated with him in the care of mental patients.9 The collaboration consisted either in treating patients together or in sending him patients who were in transition from the psychiatric hospital to the village for a process of reintegration. An overview of the literature reveals that the relationships between therapeutic systems in sub-Saharan Africa are marked by both competition and cooperation within and between the systems on the one hand, and through more formalized gateways on the other. How do the participants of the two therapeutic approaches relate to one another in a context where the growth of Christian therapies in Ivorian cities is now a public health issue? How do religious practitioners view biomedicine? The data from the field reveal that, for them, (1) biomedicine is necessary but limited, and should therefore collaborate with spiritual therapy, and (2) biomedicine and spiritual therapy are complementary but not equal. Biomedicine is necessary but limited. A principle that seems to be shared by almost all Christian providers of spiritual therapies stipulates that humans provide the treatment, but only God heals. This assertion of a Catholic priest sums up this perception as follows: “The first principle is that God always heals, God heals on his own, you may take all sorts of drugs and not get cured. Then, the faith of the person is important” (Father J. P., Catholic priest). 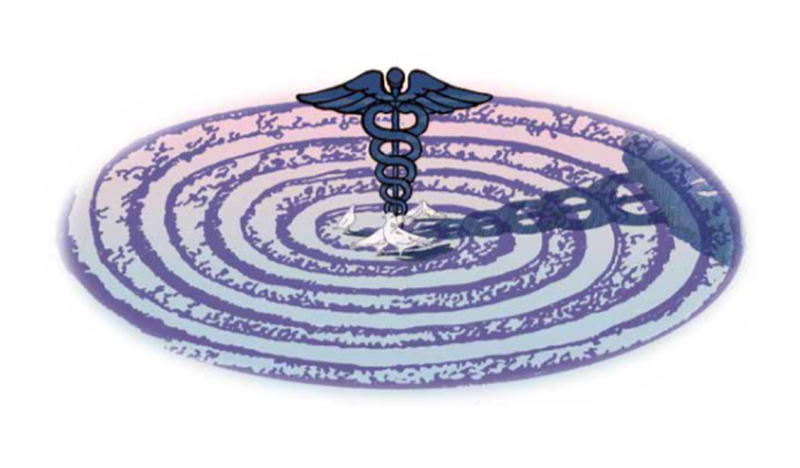 Religious providers unanimously recognize the value of biomedicine. Being the fruit of human intelligence, it is widely perceived in Christian religious circles in Abidjan as having its ultimate source in God. This is confirmed by an evangelical preacher: “In fact the Bible is not against modern medicine. It is God himself who created modern medicine. So you can pray for someone at church and then recommend him to the hospital, for God can also heal the patients at the hospital, can’t he? Through a doctor the miracle can occur. Therefore, God is not against medicine” (Pastor M. T.). But if Christian religious interviewees ac- knowledge the value of biomedicine, they differ on the role it plays in an ideal therapeutic itinerary. In Catholic circles, the tendency is to resort to biomedicine first in cases of physical illness: “If you go to blessed Michael parish, there is a hospital, a small clinic facing it. When you come and say, ‘I am suffering, I see spirits,’ we will tell you, ‘Go and do medical tests.’ This is the first thing you are asked to do” (Father J. P., Catholic priest). A preacher of the Celestial Church is also in favor of this approach: “We give modern medicine its place because when a patient comes here, we put the following question to him: ‘Did you go to hospital?’ Because analyses are done there, not here. And if the disease is diagnosed and drugs are given to the patient for his treatment, we just tell him, ‘Come with the drugs, we will pray over them’” (Healer, Celestial Church). But for other religious interviewees, spiritual succor must come first; according to them, behind every misfortune or disease there is an evil spirit at work. In the case of physical illness, it should be neutralized before bio- medicine can be effectively used. A Harrist church official has this to say: “As a leader of the Harrist church, before a patient goes to hospital, we ask him to receive the first care that is prayer, and from that moment we can direct him to the hospital for the physical aspect.” The deliverance or release from the grip of the evil spirit is then seen as a sine qua non condition for the effectiveness of biomedical therapy. To illustrate the limits of biomedicine, a number of religious interviewees claim to have obtained from God the healing of diseases so far perceived as incurable by biomedicine. Some claim to have cured HIV/AIDS or cancer: “We have prayed for someone, here. I don’t know what sort of cancer he had; he was brought here, that man, even doctors had no hope, what they were doing is called chemotherapy. That’s all. But his cancer disappeared” (Religious healer, Celestial Church). Despite this general tendency to affirm the capacity of spiritual healing to cure all diseases on the basis of God’s omnipotence, some religious interviewees maintain a division of tasks between biomedicine and religious therapy. For them, as illustrated by the following affirmation, ordinary physical illnesses are to be treated by biomedicine, while spiritual diseases—those that involve a “mystical” cause—should exclusively be reserved for spiritual therapy. According to a Pentecostal pastor, “Medical science, in our day, has the capacity to cure almost all diseases, except someone who is dead. But concerning diseases such as AIDS, I prayed for a patient, and the woman was totally healed. In her case, the lady had mystically been infected. She was contaminated in a spiritual way. In this case, you see that antiretroviral drugs could do nothing. Spiritual healing was needed, that is, breaking the strongholds of witchcraft” (Prophet H. E., Pentecostal church). 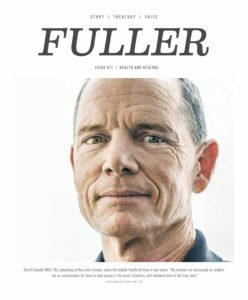 A few religious interviewees argue for a more formal collaboration between biomedicine and spiritual therapy that would compensate for the limits of biomedicine. A Pentecostal pastor says: “I also want to ask modern medicine to collaborate with the church through the pastors; hospitals must establish a center of prayer, deliverance and healing. Pastors that are selected every week will go there and pray for the patients, because there are some health problems for which modern medicine is limited. Modern medicine must also collaborate only with traditional healers, but not with the seers” (Prophet Agbalé, Pentecostal church). Complementarity but not equality. The views of the religious practitioners on biomedicine attest to some de facto complementarity that can take several forms. In some situations, the same patient is simultaneously the object of biomedical and spiritual care, either through the intervention of hospital chaplains or a circumstantial recourse to a religious practitioner. On this subject, a religious provider states: “We have no problem with modern medicine, because one year I was going to pray for the sick people at the General Hospital. There are groups, churches that go and pray for the patients in hospitals. There is no problem in that. It is our mission on earth, going to pray for the sick, visiting prisons and all that. Therefore, when you are a son of God, even before going to hospital, first people must pray for you, because by going straight to hospital, the enemy might be working there. You see it is another system; there are sorcerers, mystics, Rosicrucians among the medical doctors. This is another dimension, but bear in mind that we are not against, but for modern medicine” (Evangelist pastor A. K.). Some religious practitioners even claim to refer patients to the hospital, except of course for diseases classified outside their remit, especially “mystical” diseases: “There are mystical attacks, that is to say that there are people who attack other people. I cannot take such a case to hospital. It is through prayer that it can be solved” (Religious therapist, Celestial Church). This distinction between the responsibility of the hospital and that of prayer suggests that, for religious practitioners, one should not necessarily expect prayer to heal all diseases in normal circumstances, given that it is God who made a gift of biomedicine to humanity. In terms of hierarchy, it appears from inter- views with the religious practitioners that, although biomedicine and spiritual therapy are perceived as complementary, spiritual therapy is considered superior to biomedicine for the following reason: biomedicine only covers a category of disease—physical illness—while spiritual therapy would deal effectively with all diseases. In other words, the first one is limited while the second is not, because God is not limited. At the same time, in the management of a therapeutic itinerary, priority is given to the hospital in cases of physical illness. It is when the hospital is not proving effective that recourse is made to religious practitioners. But how can we reconcile the belief that the therapeutic power of God is not limited when there are many cases where, despite the intervention of religious therapists, the death of the patient may ensue? A religious therapist says: “My wife had cancer. We prayed for her and that cancer disappeared. Three to four months after, there were ganglions on her body. We did everything in cancerology. We did a lot of medical examinations: 18 scans. Still, we could not find the disease. She was bound to use tablets, sedatives, but finally she died. It is an example that makes me say that the medicine doesn’t heal” (Evangelical pastor Djédjé Raphael). According to religious practitioners, there are three possible reasons that can explain such a failure: the weakness of the patient’s faith, the incompetence or impurity of the provider of care, and finally the sovereign decision of God. Concerning the disposition of the therapist, some religious interviewees mention the use of certain mystical powers by some health providers. These powers could have negative effects on patients: “I am very cautious at this level, because it is a very difficult situation here in Abidjan. For example, when you walk with a pastor who has taken some fetishes (objects believed to have magical powers) from different places, and works miracles from these fetishes, everyone knows about it; and so when you walk with such a person, automatically everyone will think that you do the same thing—that you’ve also taken fetishes from which you work miracles” (Prophet Agbalé, Pentecostal pastor). Synthesizing the empirical data, it appears that the spiritual therapists of sub-Saharan Africa have a holistic conception of disease and healing. They recognize the importance and effectiveness of biomedicine, but not without emphasizing its limits compared with spiritual therapy, which is perceived as “divine medicine.” They there- fore affirm both the complementarity of the two therapeutic offers and the superiority of spiritual therapy. Most are open to collaboration between the two medicines. The question of the relevance of and opportunity for collaboration between spiritual therapy and biomedicine is not new, however. As some issues of the Journal of Religion and Health from as early as the 20th century testify, it has been the subject of much debate between proponents of inclusive approaches and those of exclusive approaches. For both sides, the effectiveness of biomedicine is beyond question. The debate focuses more on the religious aspect that some, in the name of the principle of secularization, want to confine within the limits of private initiative outside the institutions of biomedicine, with the hospital operating only according to the canons of science. Others argue that the distinction between medical and nonmedical therapy is very recent and only dates back to the rise of biomedicine. They recall the religious origins of medicine and argue that a competitive approach should be abandoned for a collaborative approach,10 one that includes a fruitful dialogue between religion and biomedicine for the integral well-being of the human being. In recent decades public authorities in Côte d’Ivoire, to some extent, have been gradually acknowledging the value of traditional medicine, breaking with the colonial legacy of distrust of alternative medicines. This is not yet the case with religious therapeutic systems. 1. Harold G. Koenig, “Religion, Spirituality, and Health: The Research and Clinical Implications,” International Scholarly Research Network ISRN Psychiatry (2012), at www.ncbi.nlm.nih.gov/pmc/ articles/PMC3671693/pdf/ISRN.psychiatry2012-278730.pdf. 2. J. S. Levin and P. L. Schiller, “Is There a Religious Factor in Health?” Journal of Religion and Health 26, no. 1 (1987): 9–36. 3. James Pfeiffer, “African Independent Churches in Mozambique: Healing the Afflictions of Inequality,” Medical Anthropology Quarterly 16, no. 2 (2002): 176–99. 4. Abidjan is the economic capital of Côte d’Ivoire; approximately 7 million of the country’s 26 million inhabitants live in the city. As with many large African cities, Abidjan offers a good representation of the ethnic, religious, medical, and political pluralism that characterize Côte d’Ivoire as a whole. 5. This project complies with the regulations governing human participants as subjects of research in Côte d’Ivoire. The data used were collected in 2016 in the framework of the research project “Christianity and Social Change in Contemporary Africa,” funded by the Templeton Foundation and managed by the Nagel Institute of Calvin College, in Michigan. 6. H. Behrend, “The Rise of Occult Powers, AIDS and the Roman Catholic Church in Western Uganda,” Journal of Religion in Africa 37, no. 1 (2007): 41–58. 7. Allan Anderson, “New African Initiated Pentecostalism and Charismatics in South Africa,” Journal of Religion in Africa 35, no. 1 (2005): 66–92. 8. A. Mary, “Le Pentecôtisme Brésilien en Terre Africaine: L’Universel Abstrait du Royaume de Dieu,” Cahiers D’études Africaines 42, no. 167 (2002): 463–78. 9. S. S. Walker, “Young Men, Old Men, and Devils in Aeroplanes: The Harrist Church, the Witchcraft Complex and Social Change in the Ivory Coast,” Journal of Religion in Africa 11, no. 2 (1980): 106–23. 10. T. Chikes, “Problems of Faith Healing,” Journal of Religion and Health 4, no. 4 (1965): 336–41. Ludovic Lado is associate professor of social anthropology at the Center for Research and Action of Peace in Abidjan, Côte d’Ivoire. 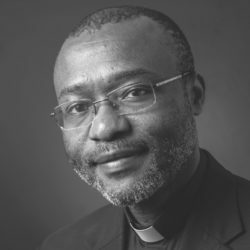 His research concentrates on the intersection of religious pluralism and medical pluralism in sub-Saharan Africa, and his publications include Catholic Pentecostalism and the Paradoxes of Africanization. He holds a Doctor of Philosophy from the University of Oxford in the United Kingdom.